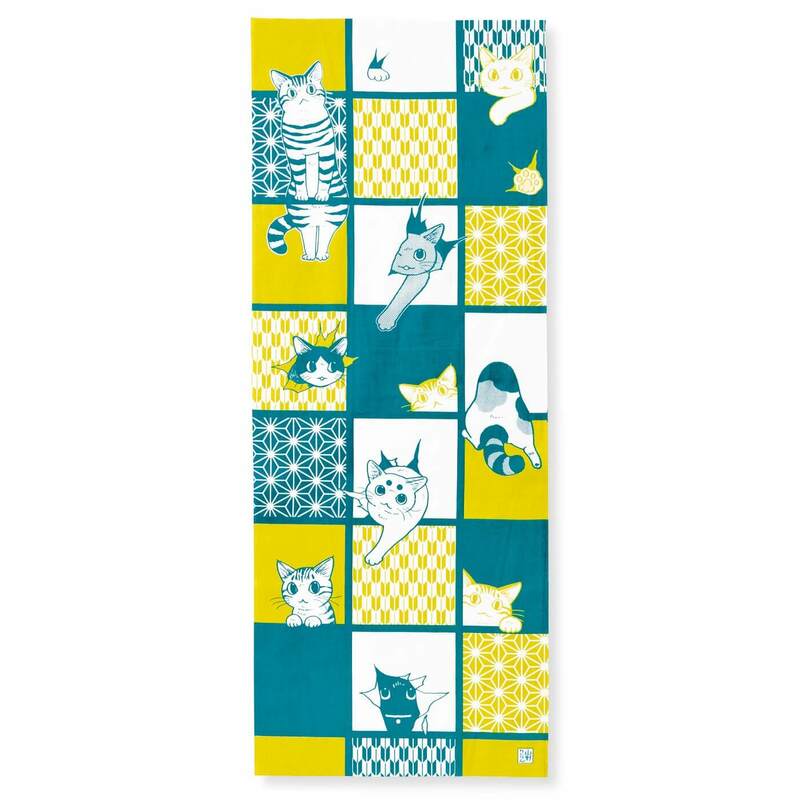 Felissimo Neko-bu opened pre-orders for a series of hand towels illustrated by manga artist Rinrin Yamano drawn in a traditional Japanese style on March 22nd. 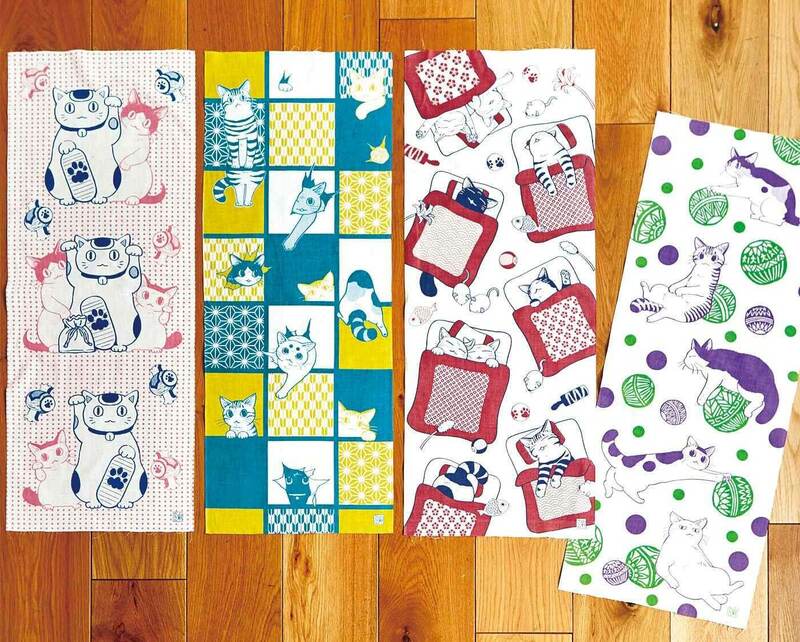 Hand towels are a commonly used everyday item in Japan, and this fun line-up features cats in various poses and scenarios. The illustrations include cats interacting with traditional Japanese motifs such as paper sliding doors and temari balls, all drawn by Rinrin Yamano. 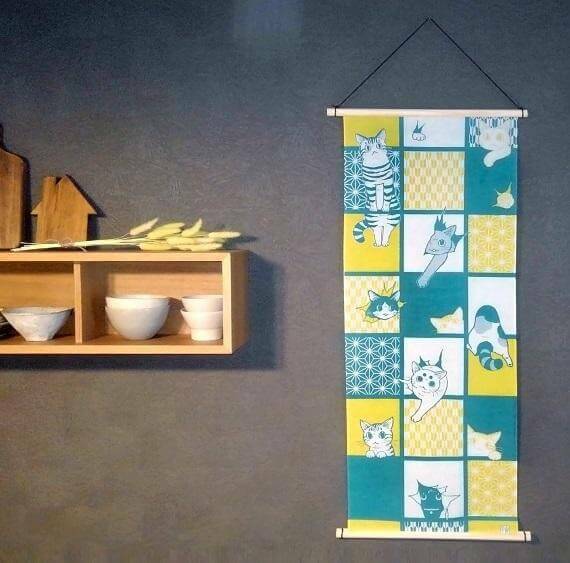 When hung up they can always be used as noren curtains and tapestries. There are four designs: Shoji, Futon, Maneki Neko, and Temari. 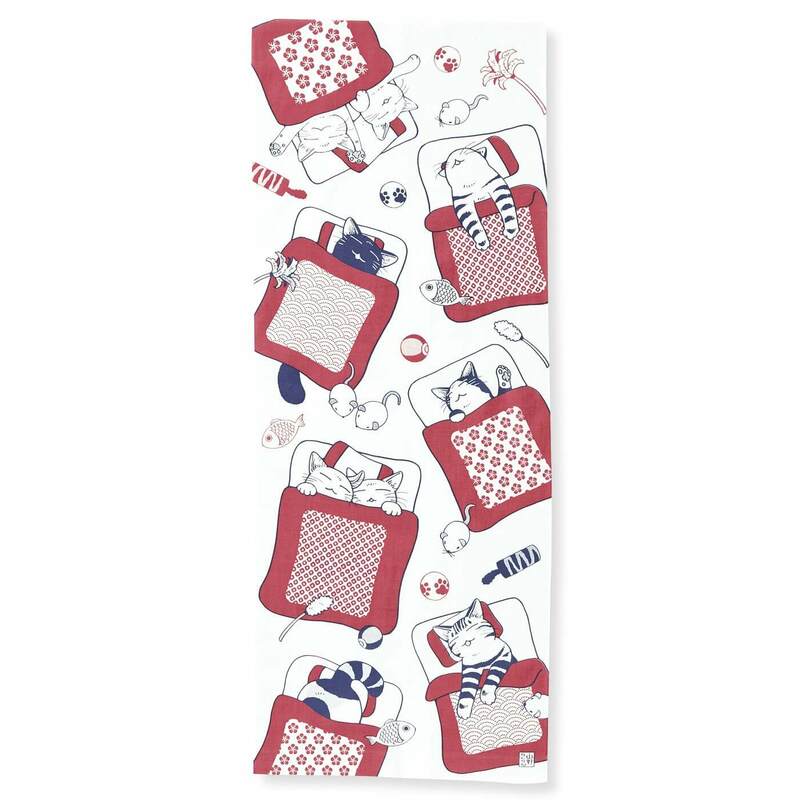 They are perfect for your own personal use as well as gifts for cat lovers! Temari: This cute polkadot pop design features cats having fun with temari balls. 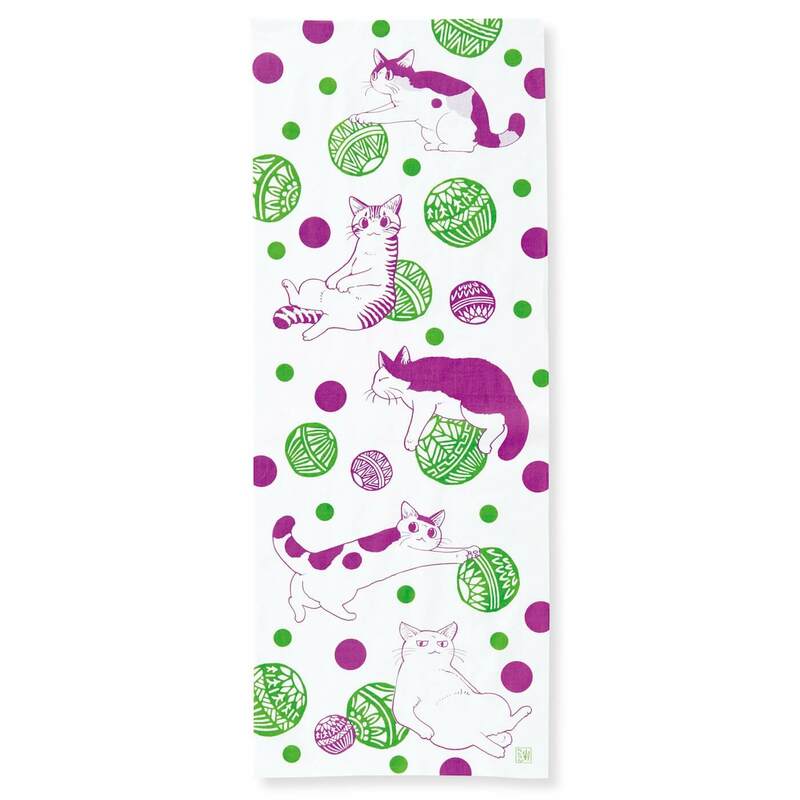 As always with Felissimo Neko-bu products, part of the price of these hand towels go towards numerous causes including shelter for animals with no owners and for helping find them owners, as well as aiding towards getting stray cats off the street to avoid overpopulation, and for protecting animals during times of disaster. 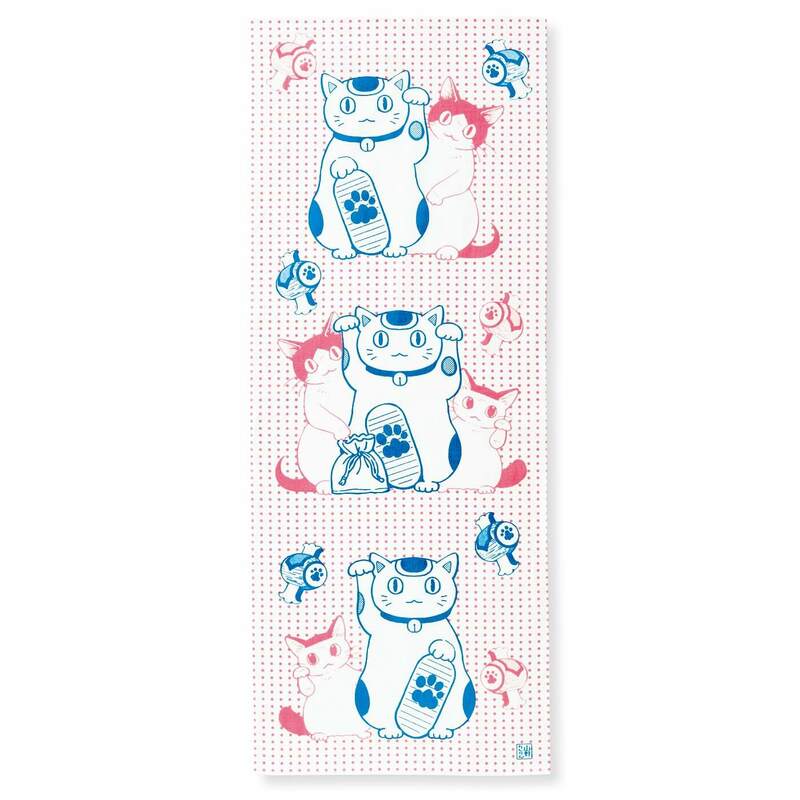 Get your hands on one of these amusing, Japanese-style hand towels. *Due to the hand towel having been made using old-fashioned techniques, both ends have been left cut. The material may become frayed when first used.